Mazda has once again emerged as the nation's best car company for ‘customer satisfaction' with the brand and its dealers topping the automotive sector in the latest UK Customer Satisfaction Index with a score of 83.3 percent, well above the car industry average of 78.4 percent. 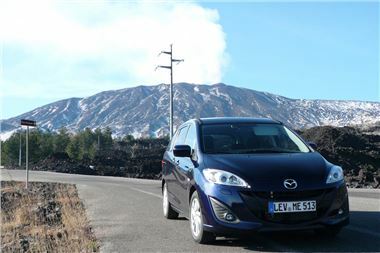 Mazda's winning and improved score - up from 80.6 percent in July 2010 - is also combined with clear market leadership for ‘perceived value' versus rival brands, in terms of comparing costs with customer benefits. "This survey result is another strong testament to the quality of our products, our customer service philosophy and the ability of Mazda dealers across the nation to focus on what UK motorists really want," comments Steve Jelliss, Aftersales Director, Mazda UK. "Top place, with a higher score, confirms that our whole organisation and franchise network continues to be focused on delivering a quality and professional service at a reasonable cost, to ensure that Mazda ownership is a truly satisfying experience." Every six months the Institute of Customer Service asks 26,000 people what they think about the service they've received from the UK's major organisations. The information is then collated and the results published as the UK Customer Satisfaction Index (UKCSI). The overall average score rose slightly from July 2010, from 75.6 to 76.7 percent. The highest score in any sector was 89 percent (for both Waitrose and John Lewis) and the lowest 56.8 percent. The scores are worked out from consumers' answers to questions about these 10 priorities and other, more general ones relating to overall satisfaction and how likely customers are to stay with an organisation, recommend it to a friend and buy its products/services again. The twice-yearly survey covers more than 150 companies in the retail, financial, tourism, telecoms, transport and automotive sectors.